Weekends are what we live for, truly. So when it comes time for a little rest and relaxation, we’re always shocked to find out just how much of the ol’ cashola we actually need to put away. A fancy weekend getaway gets swapped for a day trip to the coast, with last night’s leftovers for your gourmet meal. Until now that is, because we’ve found a way for you to enjoy the finer things Queensland has to offer, and have your to-do list looking like an issue of Vogue it’s so fancy. Your Insta-feed will thank us. But how?! RACQ members get access to a range of seriously good accomodation discounts—if you've never taken advantage of the perks, you're missing out! Don’t stress, even if you're not currently a member of RACQ, you can still score these major discounts for less than $30 a year with RACQ Lifestyle. So really, it’s paying for itself with epic savings on everything from your groceries to parking, right through to these bucket list-worthy things to do. Spicers Retreats are synonymous with luxury. Think infinity pools in the luxe abandon of the countryside with hatted restaurants on site to keep your appetite truly sated. Spicers Balfour Hotel (tucked away in the leafy streets of New Farm) is yours to try for the weekend, or Spicers Hidden Vale, out in Grandchester. 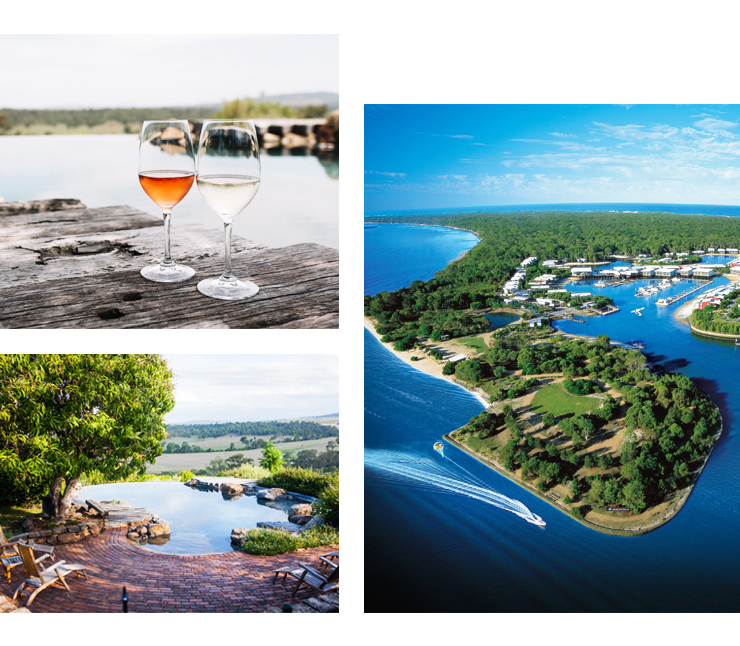 If the hinterland is more your thing, try Spicers Tamarind Retreat or Spicers Clovelly Estate, or if wine is what gets you, Spicers Vineyards Estate in the Hunter Valley has your name written all over it. And the best part, with your RACQ membership you get all Bed & Breakfast packages at 20% off. For 10% off all-inclusive packages, Spicers Sangoma and Spicers Peak Lodge are your go-tos. Couran Cove Island Resort is the perfect island escape. Think absolute seclusion and serenity just a 35-minute ferry ride away from the excitement of the Gold Coast. Picture clear blue waters, days spent relaxing on a catamaran, and nature springing to life all around you: bird calls and the lull of the surf breaking in the distance. Ugh, take us there now, please. The best part, there’s 20% off accommodation up for grabs here! There’s nothing quite like a stay-cay to reignite your lust for your city, is there? With 10% off and a sneaky late check out at Mantra, there’s really no reason why you shouldn’t treat yourself to one this weekend. Or, escape the city and get away for the weekend with a coastal trip to a Peppers Resort. Want to get out there and really explore? How about a 13-night cruise in Vietnam, 15 days cruising Europe, or a 19-day passage through the Rockies and Alaska? Why not 16 days soaking up the colours of India? Sounds dreamy, we know. Epic member rates are waiting for you with your RACQ membership, including car hire and airport parking. Plus, marvels closer to home like a 15-day outback tour of Queensland’s most stunning national parks. How could you say no? Ps—there's a whooole lot more offers like this. Phew, that’s a lot of planning (and fun) to be done. Make sure you check out RACQ for holiday and travel discounts, and if you're not a member, grab your Lifestyle membership to get the savings rolling, or keep up with news and deals in real time on their Facebook page. Editor's note: We've teamed up with RACQ for this article because we're all about scoring those discounts. If you're curious about why we make these partnerships, you can read more about the ins and outs here.